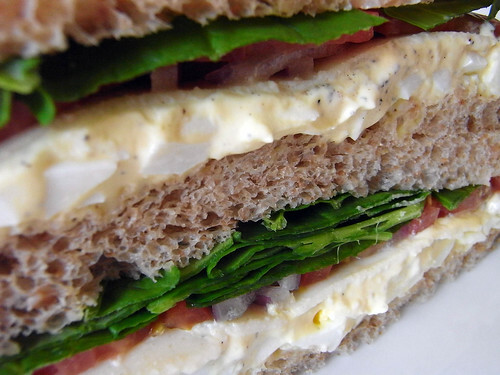 We have not been shy about extolling the tastiness of the egg salad sandwich from Pret a Manger. Whenever we're too busy to go out for a proper lunch, it is always there for us, like a loyal dog. While it may not be furry, cute and playful, it does bring a smile to our faces and has a calming effect on our busy nerves. "A trusty old dog", that's funny!